If you are an Estimator or Quantity Surveyor with experience working within the Fabrication and Sheet Metal industry, please apply online for this role. My Client is well established fabrication engineering company based in Swindon. They mainly work with Local Authorities, Construction Companies, Architects, Manufacturing Companies, Building Contractors and the public. The successful candidate must have a proven track record of estimating within the architectural metalwork, fabrication engineering and construction industries, and have a good knowledge of estimating the manufacture and installation/erection of steelworks and architectural type metalwork’s projects. 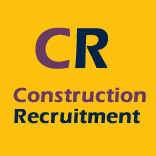 ConstructionRecruitment.net have exceptional recruiting expertise and an in-depth knowledge of the UK construction Inddustry. Accompanying our experience within this sector is our strong relations with clients which has enabled us to offer candidate a veriety of jobs. We place construction professionals into a variety of construction roles, including , Construction managers, Quantity surveyors, project managers, Site managers, site engineers, Planners, foreman and estimator jobs, and other skilled trades. Our construction recruitment consultants are able to offer you comprehensive career advice such as tailoring your CV, interviewing techniques and writing cover letters. Whether you need an operative or a team of Professionals, Full recruitment service or Managed Advertising Campaign, we are able to offer you flexible temporary and permanent recruitment solutions that will deliver results.